Ryan Chamberlin strikes again by murdering the beautiful and beloved Kiki Jerome. November sweeps ended with the residents of Port Charles learning of Kiki's death and a suspect, not Ryan, being taken into custody. Although Kiki's death is sad, it is not surprising for fans. The rumors have been running ramped for weeks that Ava's oldest daughter would be one of Ryan's victims. 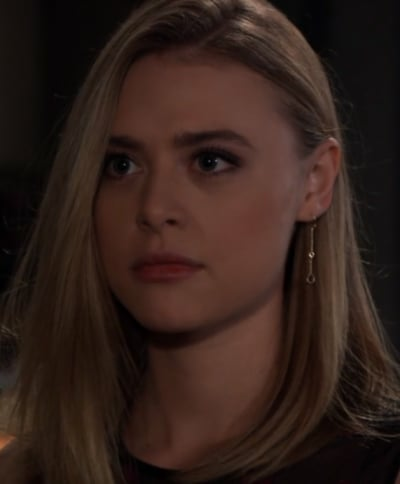 The buzz regarding the possibility of Kiki dying began when news broke that the actress who plays the character, Hayley Erin, was offered a role on the Pretty Little Liars spin-off The Perfectionists. Neither General Hospital or Erin commented on her departure until Kiki's death scenes aired this week. 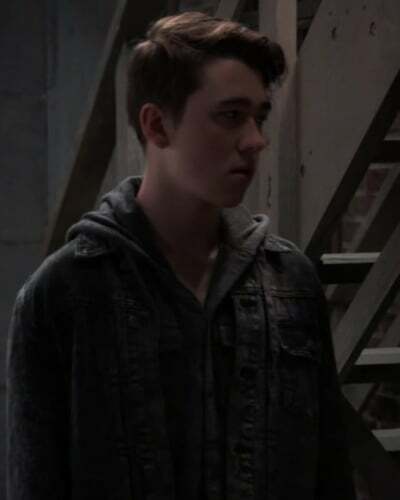 However, by that time fans had already figured out that Ryan's obsession with Ava and her dislike for her daughter at the time, meant Kiki was a goner. 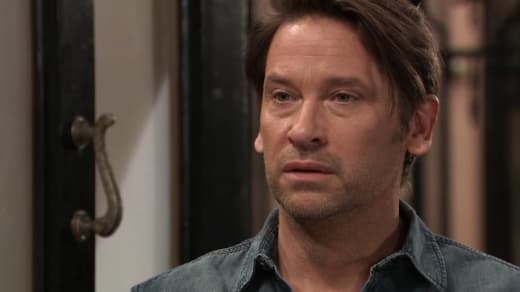 It was a bit of a slow-moving storyline, perhaps that is because fans knew Kiki was dead before anyone in Port Charles did. The look on Ryan's face when he unexpectedly showed up at her apartment made his intentions clear. I know it is a soap opera but taking two days to discover she was dead was ridiculous. The payoff though was well worth the wait. Having poor Griffin be the one to find out the dead body in Jordan and Curtis' honeymoon suite was Kiki, was a little too much. Jordan is the police commissioner, and Curtis is a private investigator. Neither one of them turned the body over. Instead, Jordan asks Griffin, the doctor, to take a look at what the newlyweds found. It didn't make sense to me, but I assume the writers thought it would be more dramatic that way. FYI it was not! Ava calling Griffin a liar when he told her about Kiki was a perfect, selfish Ava reaction thinking it was a ploy to get back at her. I am not a huge fan of Ava, but man actress Maura West hit it out of the park with her performance. West was every parent who doesn't want to believe their child is dead. When Ava screamed "Lauren Katherine Jerome you open your eyes and sit up" tears rolled down my face. She deserves an Emmy for making fans feel for Ava. My heart broke as she grieved her daughter. Julian and Ava have a rocky sibling relationship. However, as he rushed to his sisters' side and grieved his niece, fans were reminded that their bond runs deep. The Jerome anger is boiling over in both of them, and it looks like Griffin is their target. Julian needs someone to talk to as he grieves this unimaginable loss. I had hoped he would turn to Kim, but it doesn't look like she is going to be his shoulder to cry on, especially since he didn't even tell her about his nieces' death. 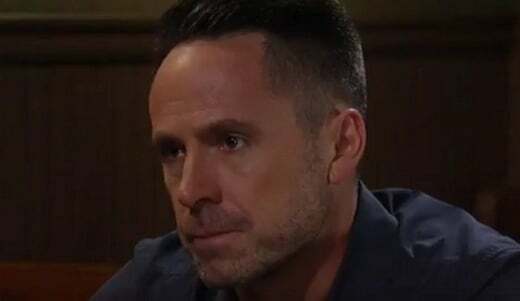 Perhaps Alexis will be the one he turns to in his time of need leading to a Julexis reunion. 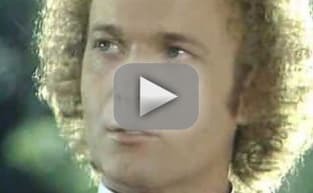 Poor Griffin, not only did he find his dead lady love but now the stellar Port Charles Police Department have arrested him for her murder. It was obvious Ryan was going to frame Griffin because of Ava's hatred towards him. What is ridiculous though is Jordan and Chase believing Griffin is the killer. Alexis said it best when she asked Jordan why Griffin would have permitted his apartment to be searched knowing he had the bloody murder weapon stashed there. Also, why would Griffin walk around with Kiki's shawl that had blood on it if he had killed her? The reason behind him being a suspect makes zeros sense, but it will take the PCPD a while to figure it out thanks to Ryan leaving behind perfectly orchestra evidence. I have said before, and I will say it again; I am over this Kevin/Ryan storyline. But adding Kiki to his list of victims might be the best thing to happen to this otherwise dull story. Kiki had ties to several Port Charles residents who are reeling from her shocking demise, which means more intriguing storyline opportunities. Take Franco for example. He took the news of Kiki's death better than expected but he is going to lose it when it comes to her funeral and discovering who killed her. Kiki was like a daughter to Franco. Accepting her death just might be the one thing to push him back to the dark side. I hope Franco uncovers the Ryan/Kevin switch and realizes Ryan murdered Kiki. He will be out for blood once he learns of Ava's romantic entanglement with the killer. It is going to be interesting to see how Sonny and Carly react to the loss of Kiki. She was involved with both Michael and Morgan, and she is Avery's sister. They a had unique bond with her. However, when it comes to Ava, they have no sympathy. Plus, she did have a hand in Morgan's death. Sonny and Carly will never forgive her for that, and it would be interesting if they believed Kiki's death was karma for Ava. A few other things are happening in Port Charles beside the murder, so here are some random thoughts. Finally, Josslyn learned about Oscar's tumor and convinced him to do treatment. Now we can move this dragging story forward. Kristina has a new group of friends and they are definitely some new age group or cult. Jordan and Curtis' wedding was boring. The only exciting part was when Kiki's dead body interrupted their honeymoon. The mother/daughter relationship between Britt and Liesel is beyond dysfunctional, but I can't get enough of them. Related: Days of Our Lives Review: Who's On What Side? Maxie and Peter kissed, and I am not sure how I feel about it yet. What do you think about Kiki's death? Did you feel for Ava? Is Franco going to lose it over the loss of Kiki? Will Oscar be the same after he receives treatment? What is your favorite thing about General Hospital right now?